A few days ago, I saw “Doctor Strange”, the psychedelic superhero film that earned an Oscar nomination for “Best Visual Effects”. 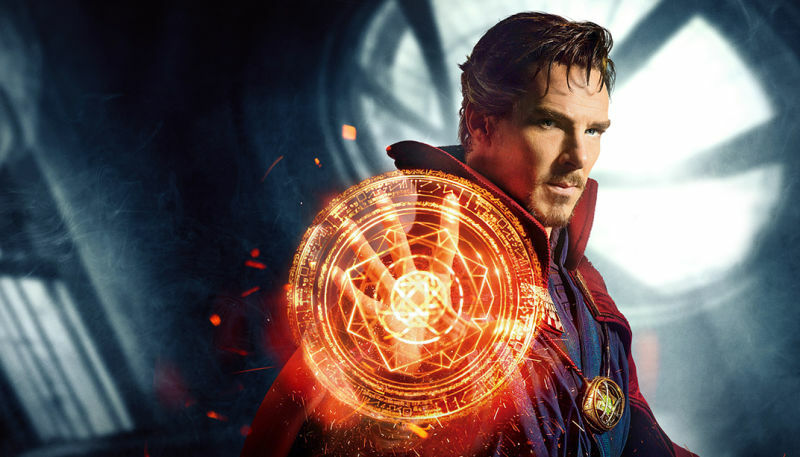 Firstly, I would like to note that Benedict Cumberbatch, the actor who plays the titular superhero, bears a striking resemblance to the comic-book Doctor Strange. “Doctor Strange” is easily one of the better films I’ve seen so far. The style of the film, while a little dark and brooding, manages to be fun and light at the same time. As I have never really heard of Doctor Strange before seeing the film, I was delighted to be introduced to a totally new superhero. Tilda Swinton, the actress who portrays the Ancient One in the film, does a superb job in her role. The best part of the film (obviously) was the visual effects. The visual illusions presented in a New York scene were particularly awesome. In the film, many of the characters are able to warp matter. The filmmakers visualize this with mesmerizing mosaics of duplicating and folding buildings. There’s also a fresh color palette throughout the film, which recent hero films like “Captain America: Civil War” slightly lacked. “Doctor Strange”, however, has its expansive visual experience at the cost of some coherence. The story lacks a little common sense, but the wacky feeling actually is a plus for this movie. While other films try to become more serious (this is why I didn’t like “X-Men: Apocalypse”), “Doctor Strange” feels more fresh and accessible. Note for younger viewers: There is some bloody/implied violence, but it’s not that bad. “Doctor Strange” also has its funny moments. One of the most hilarious points in the film is Doctor Strange’s “mind trip” throughout multiple dimensions: the idea of multiple dimensions is actually a hot topic for physicists. I would recommend this movie to my friends!